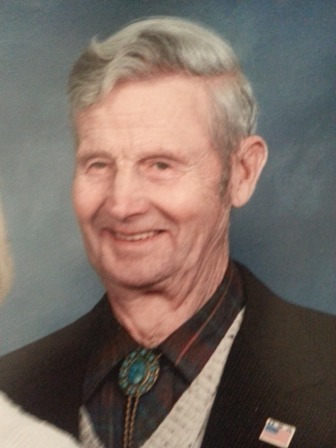 Mr. David Pennell, age 96, Killbuck, New York went home to be with the Lord on Wednesday, February 11, 2015. He passed peacefully at home with his family. Born on April 29, 1918 in Machias, New York he was the son of the late Harlan and Rose Toner Pennell. He was married to the former Katherine Paschen Hemenway, who predeceased him. He served as a sergeant in the U.S. Army with the Battery E Harbor Defense of New York during WWII. He was awarded the Good Conduct Medal, the American Defense Ribbon, the American Theatre Ribbon with one service stripe, and the WWII Victory Medal. While in the service he was chosen to be the model for various military publications and his photo was prominent in Times Square. After high school Mr. Pennell joined the Civilian Conservation Corp. (CCC) where he was involved in building many projects in Allegany State Park. After his discharge he became a union bricklayer. His work can be seen in many of the brick buildings in the area. After his retirement he was still active doing work like steps, chimneys and fireplaces in area homes. He was a car enthusiast having numerous cars over the years and he enjoyed going to the races with the boys in the family. His passion was dancing with his late wife and they were the first people out on the dance floor on any and every occasion. Surviving are: 3 sons, Roger Pennell, Mexico, Paul (Val) Pennell, Clarence, New York, Larry Pennell, Blasdell, New York; a daughter, Linda (Jim) Taylor, Bensalem, PA; 2 step daughters, Anita (Dan) French, Allegany, New York, Pam Hemenway, Ripley, New York, a step daughter-in-law, Linda Hemenway, Cattaraugus, New York; 10 grandchildren, Bethany, Michael, Jennifer, Marlena, Heidi, Nathan, Justin, Jamie, Sarah, Paul; 27 great grandchildren; a loving sister, Virginia Pennell Ward, Great Valley, New York; several nieces and nephews. He was predeceased by his wife , Katherine Hemenway Pennell, a grandson, James Pennell, 2 sisters, Betty Pennell, Jean Tackentien, 4 brothers, Dennis Pennell, John Pennell, Daniel Pennell, James Pennell, a step son, Perry Hemenway, a step grandson, Travis Hemenway. Friends may call at the O’Rourke & O’Rourke Inc. Funeral Home, 25 River Street, Salamanca, New York on Friday from 4-9 p.m. and on Saturday from 12 – 1 p.m. at which time funeral services will be held with Rev. Suzanne Block of the Christ United Methodist Church, Olean, New York officiating. Full military honors will be conducted at the funeral home by members of the American Legion Hughes-Skiba Post #535 and the Veterans of Foreign Wars John F. Ahrens Post #5296. Burial will be in Little Valley Rural Cemetery, Little Valley, New York. In lieu of flowers the family suggests memorials to the American Heart Association at http.//www.heart.org/HEARTORG/.